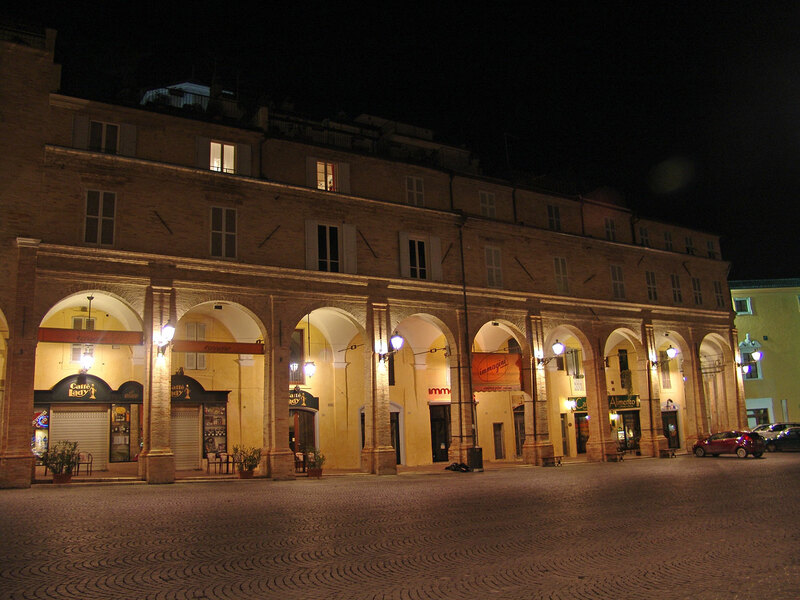 The first setting up of the wonderful Piazza del Popolo took place with Alessandro Sforza. 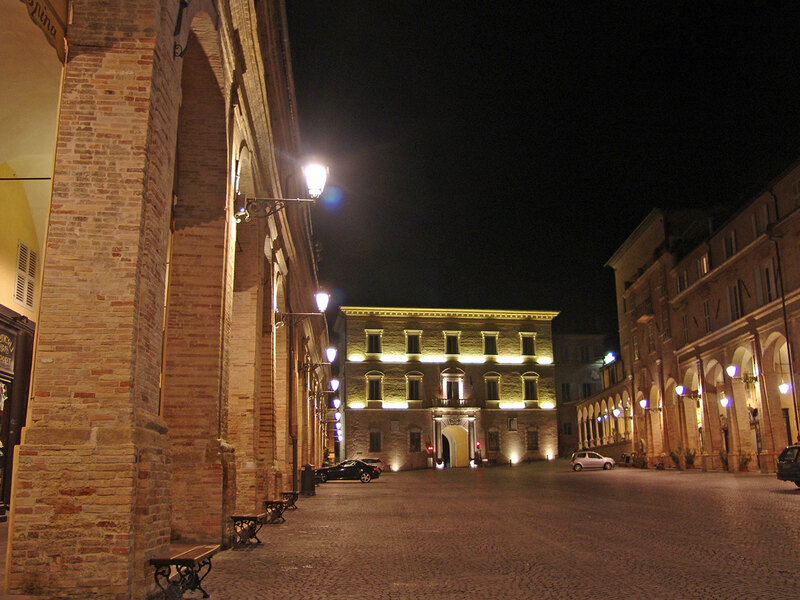 With a length of 135 m and a width of 34 m, the square’s present shape was achieved in 1659. 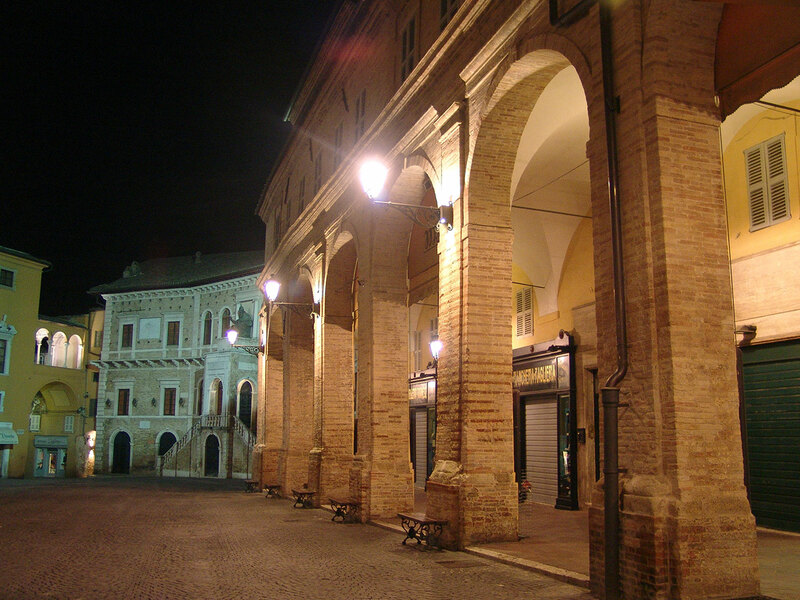 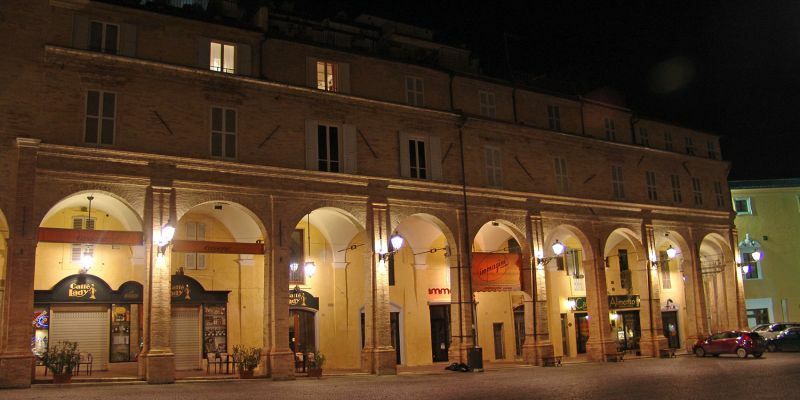 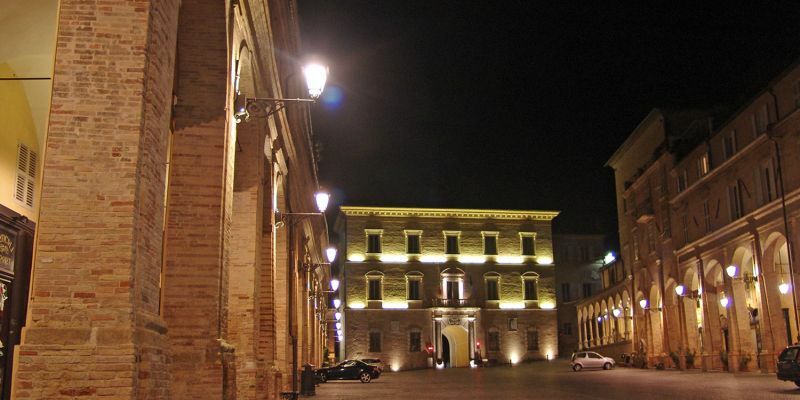 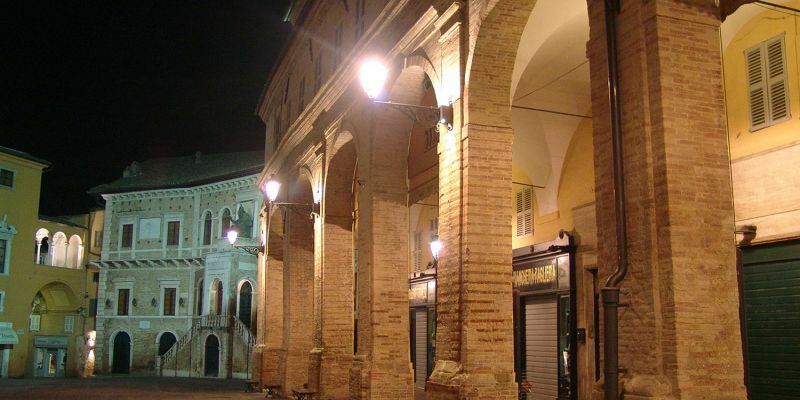 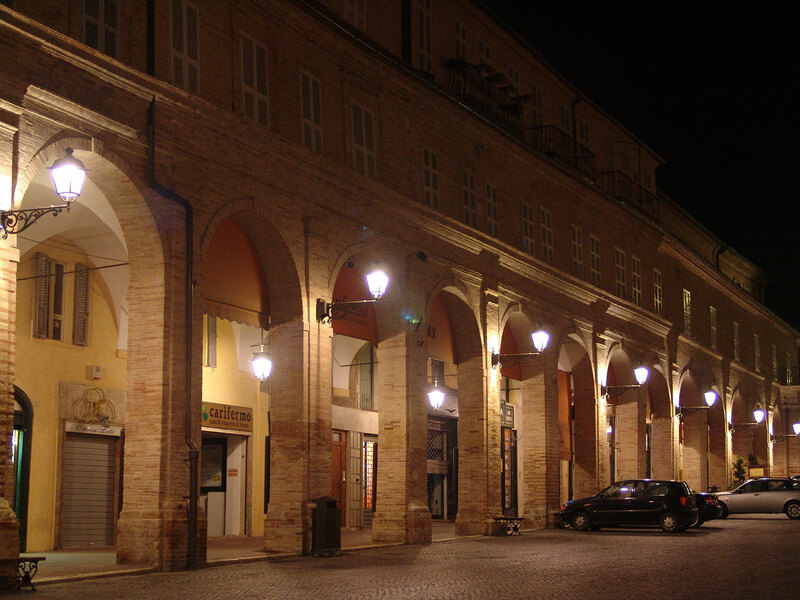 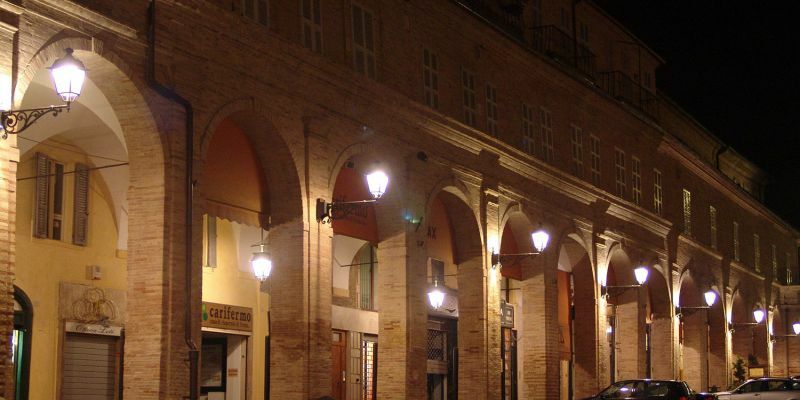 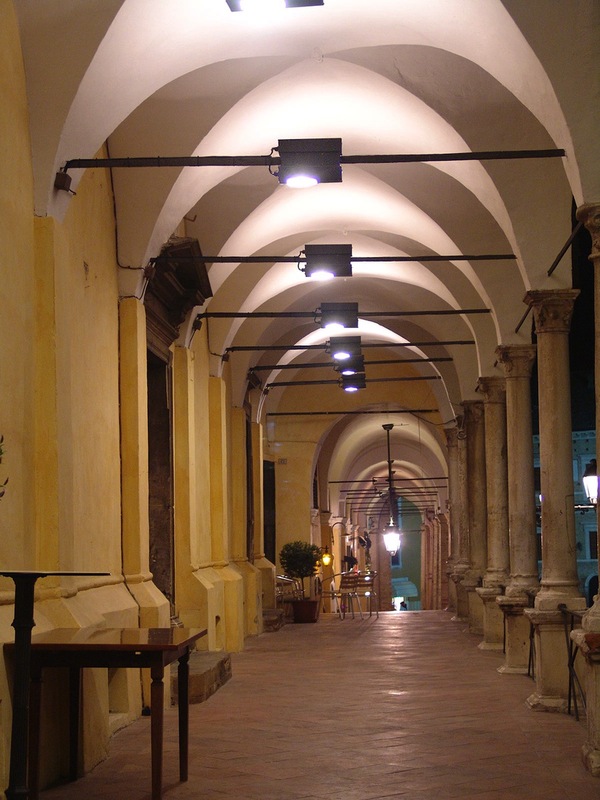 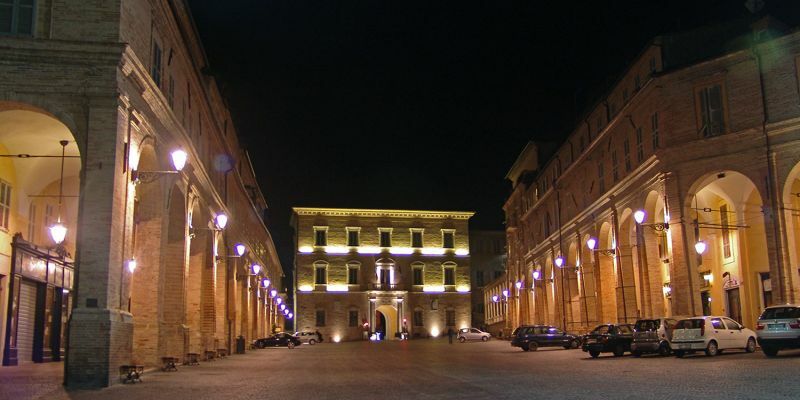 This square is with no doubt one of the most evocative places in Fermo, an accurate and linear structure delimited by long arcades. 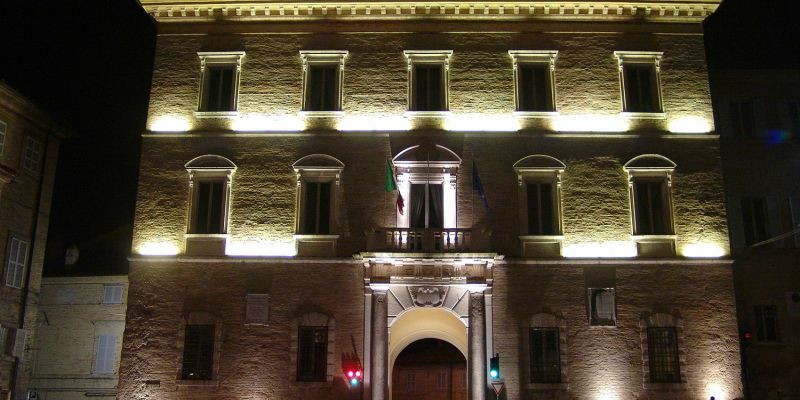 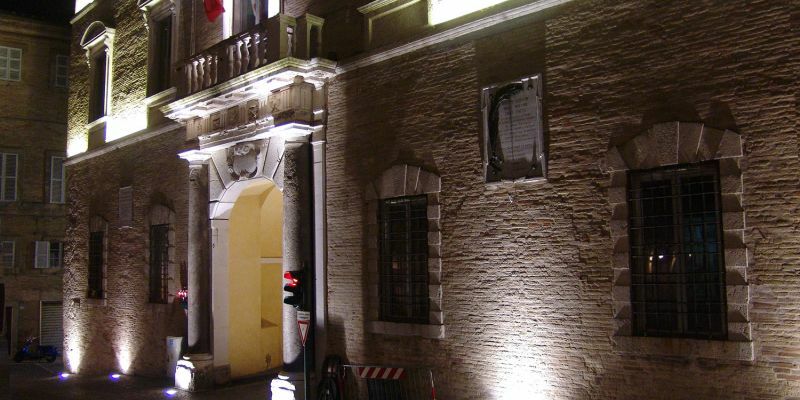 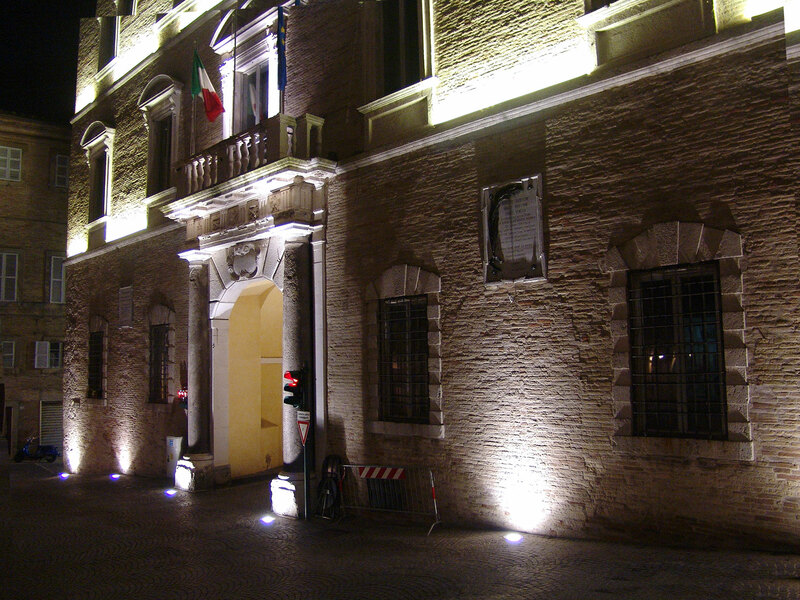 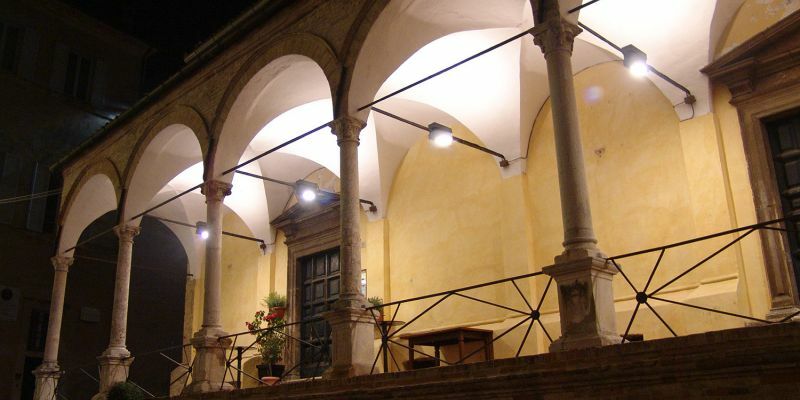 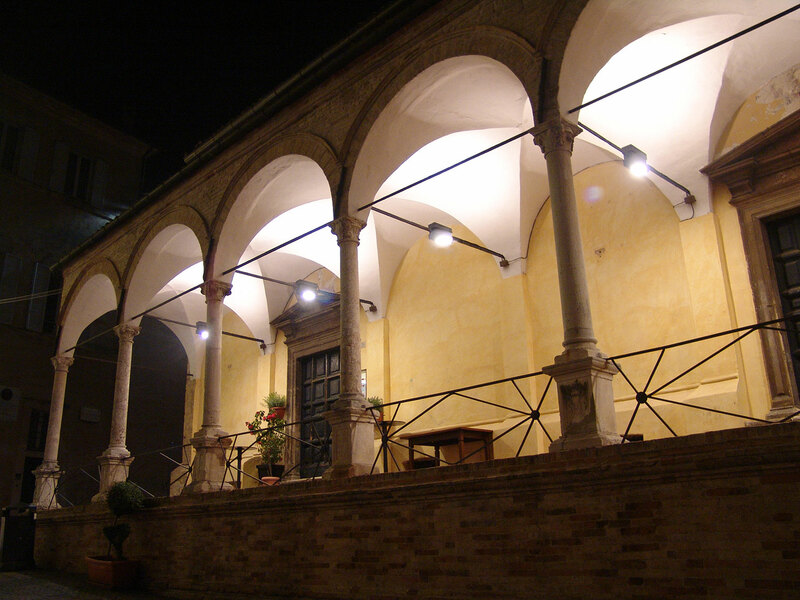 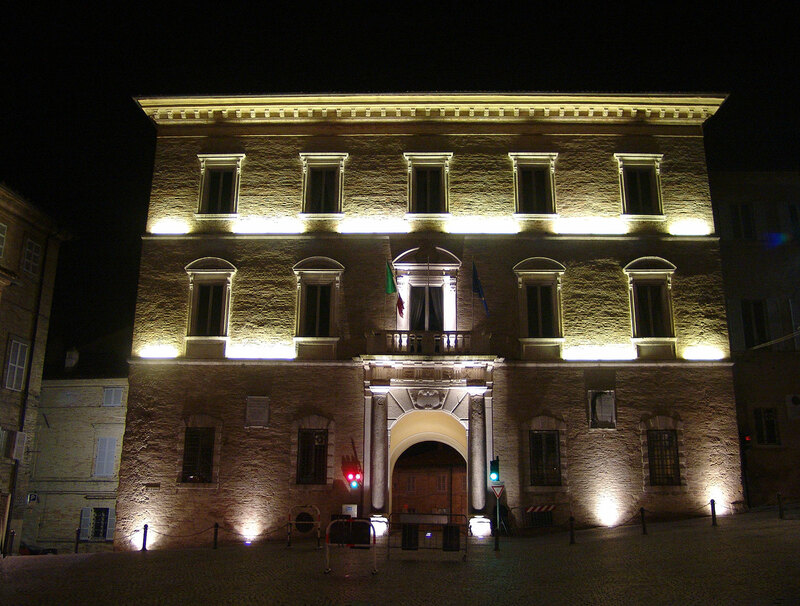 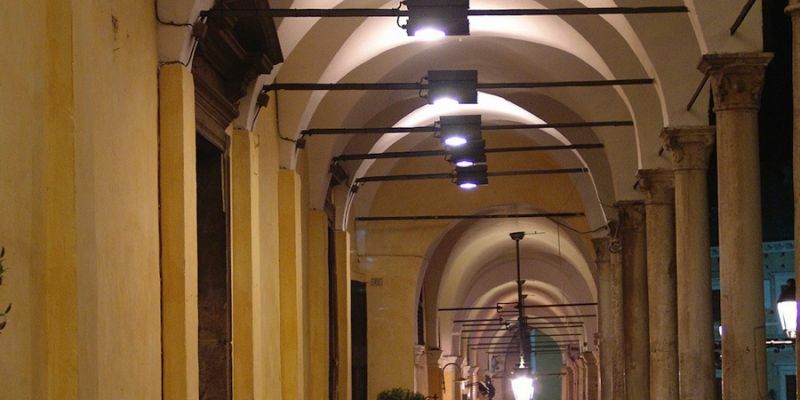 This is the reason why the developed kind of lighting must enhance its beauty and architectural rigour for the visitor to admire some of the most significant works of art of the city history: Palazzo dei Priori (where the Picture Gallery is set), Palazzo Apostolico, the Loggia of Saint Rocco. 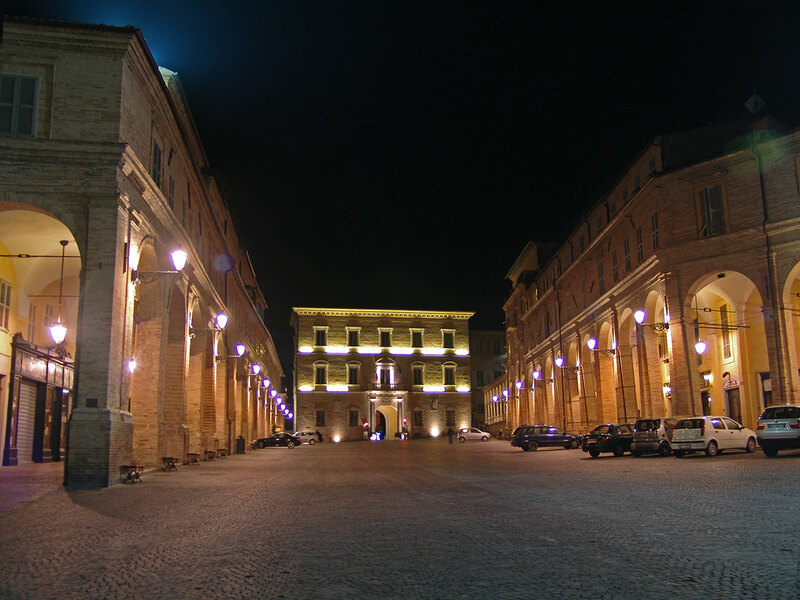 Different light scenes allow a proper and varied lighting according to the activities carried out in the square and arcades.